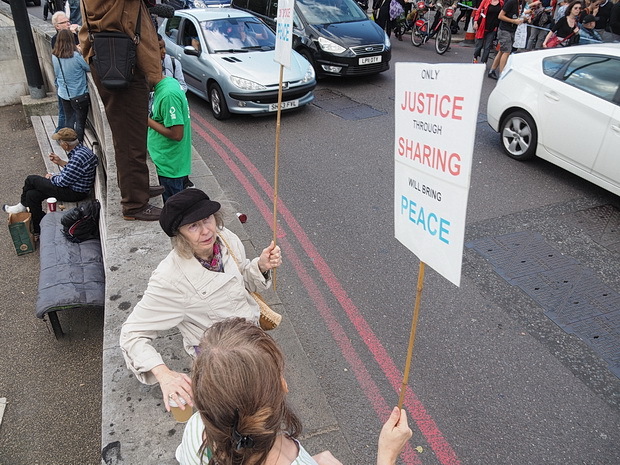 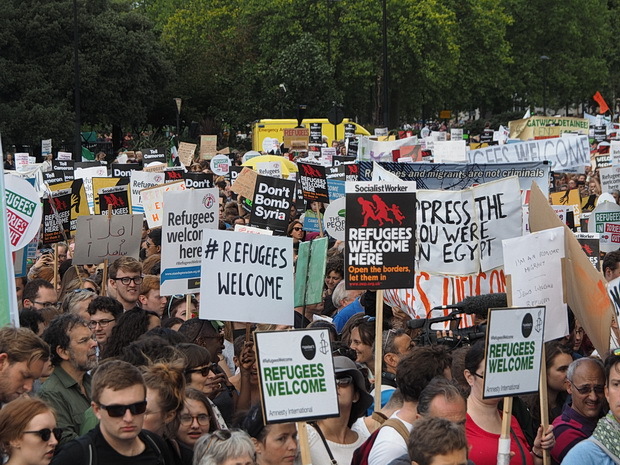 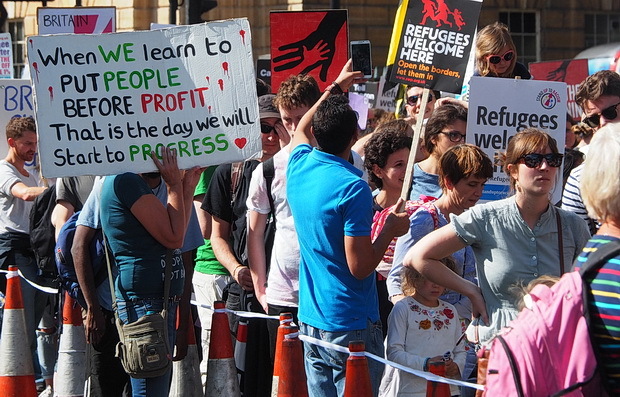 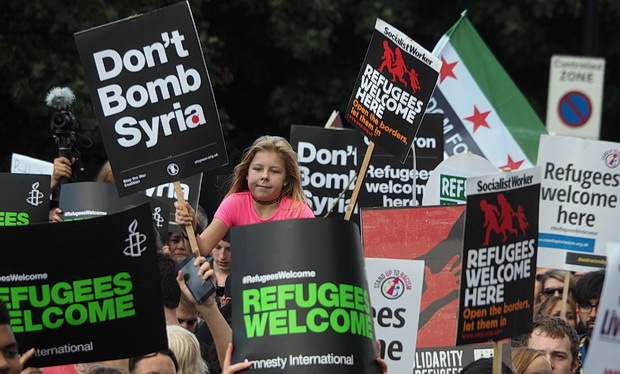 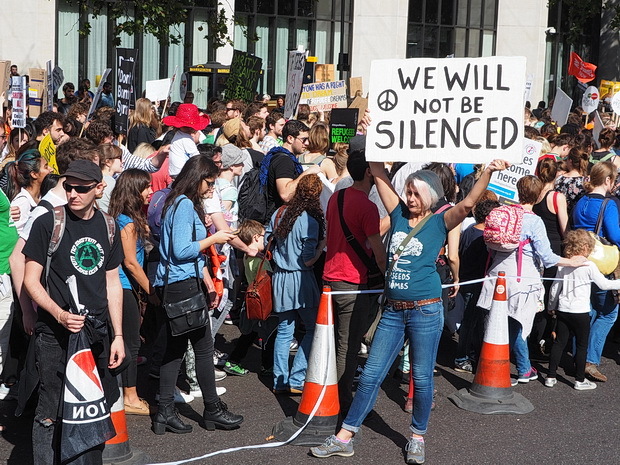 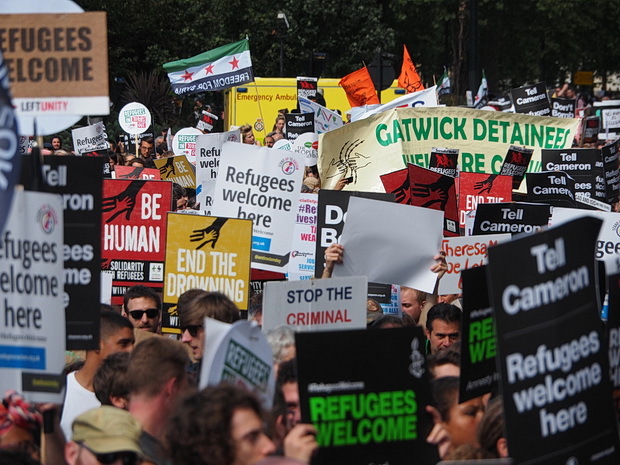 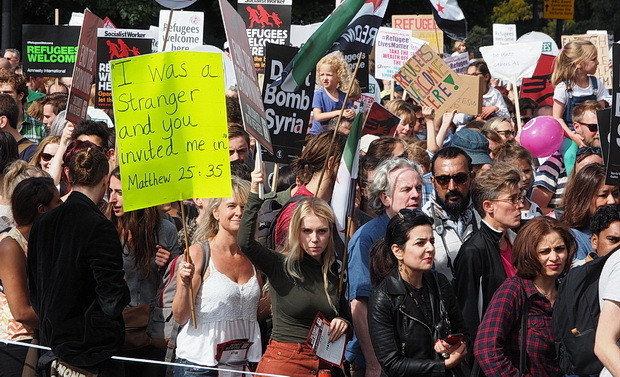 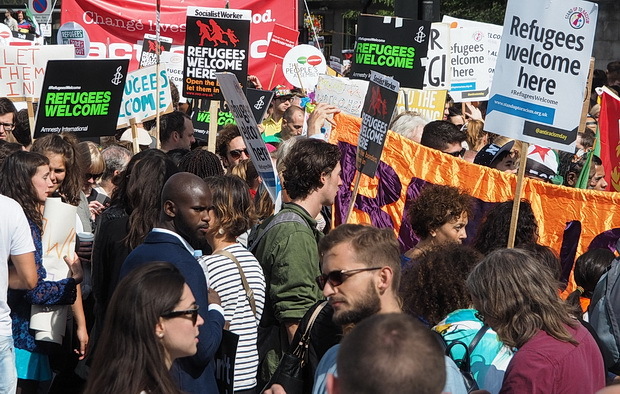 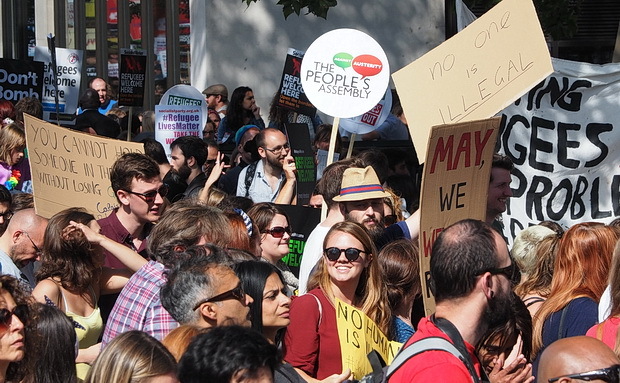 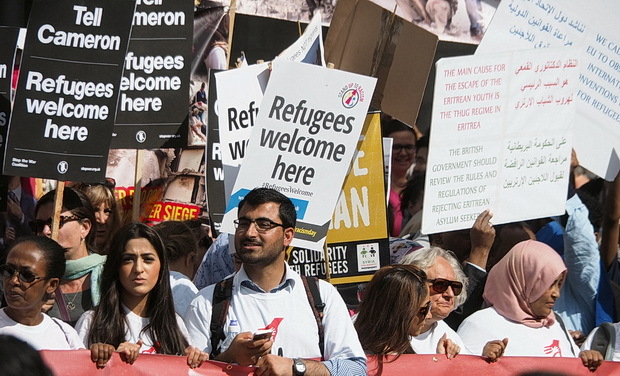 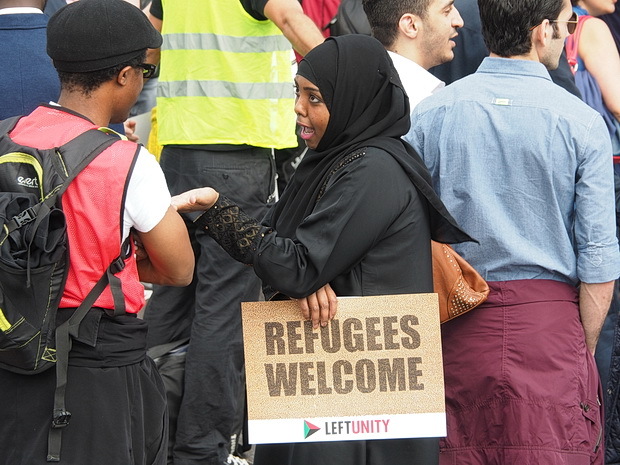 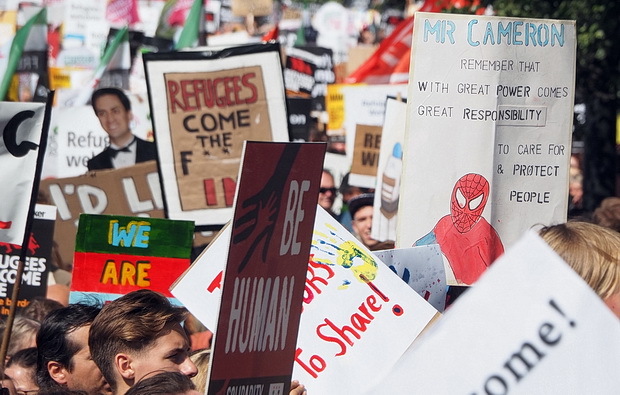 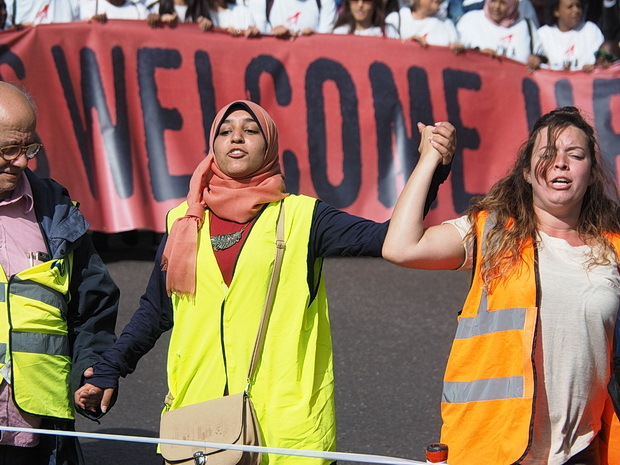 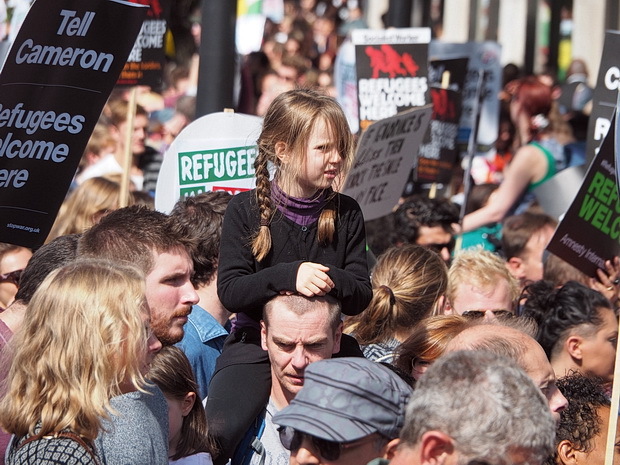 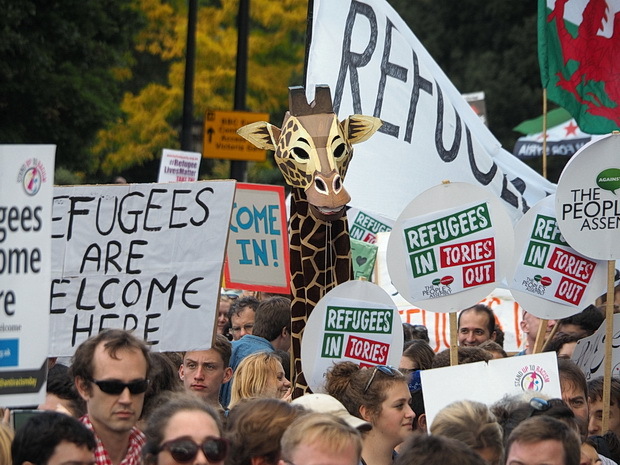 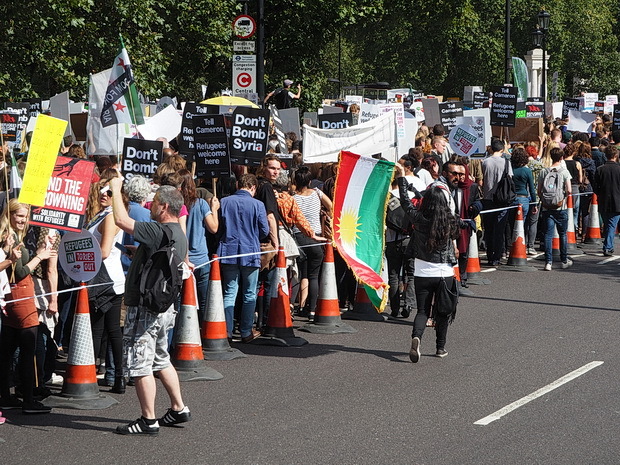 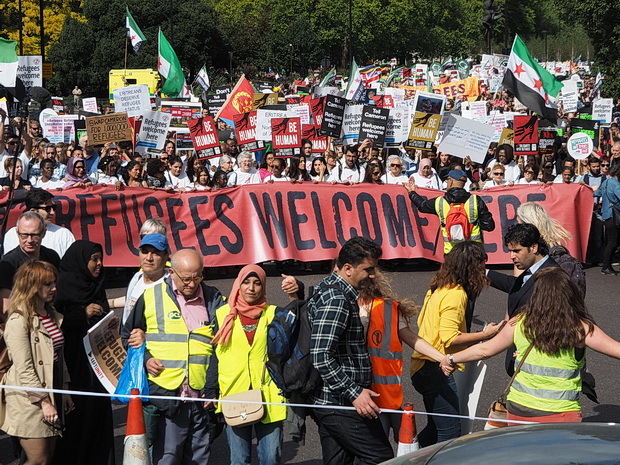 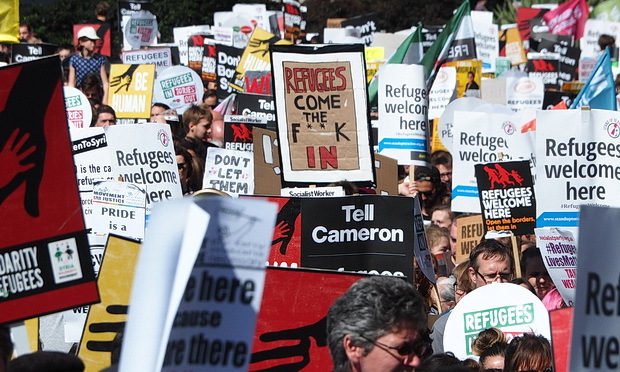 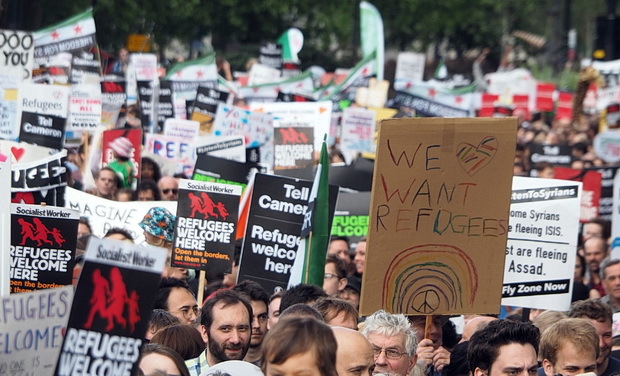 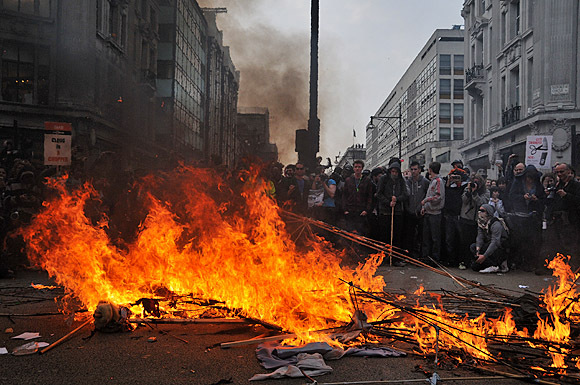 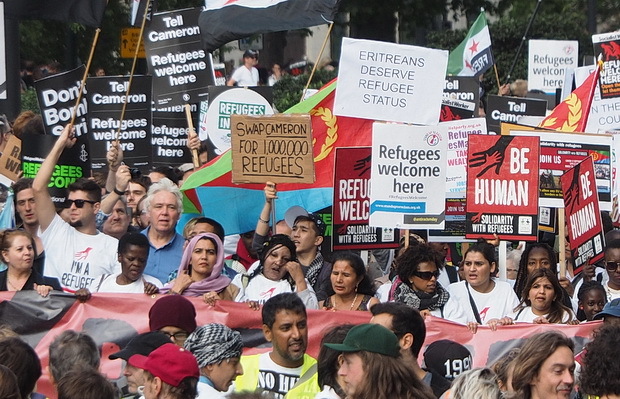 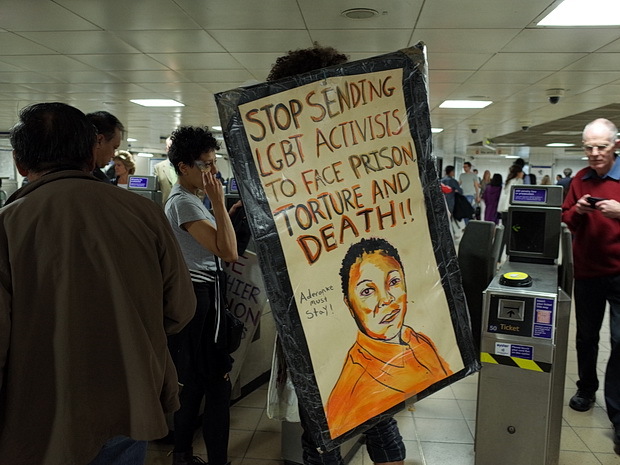 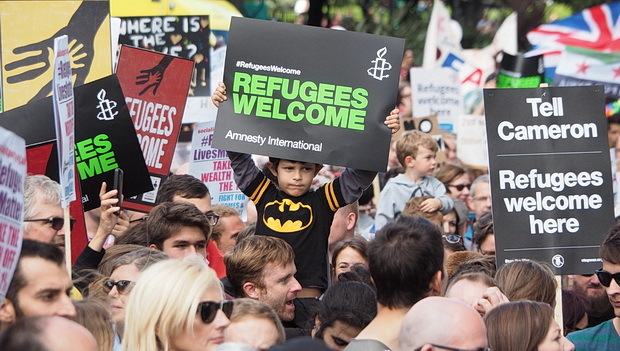 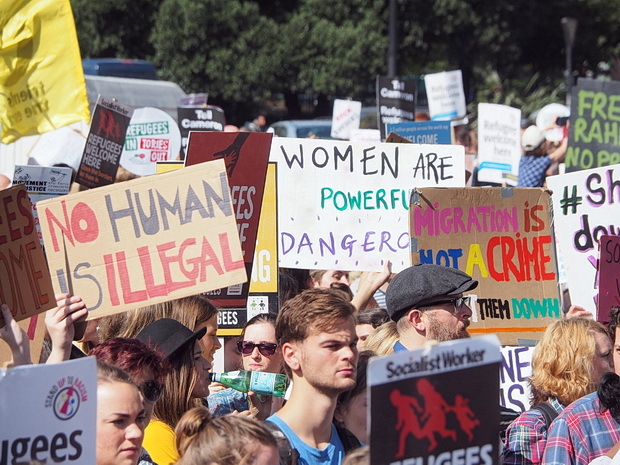 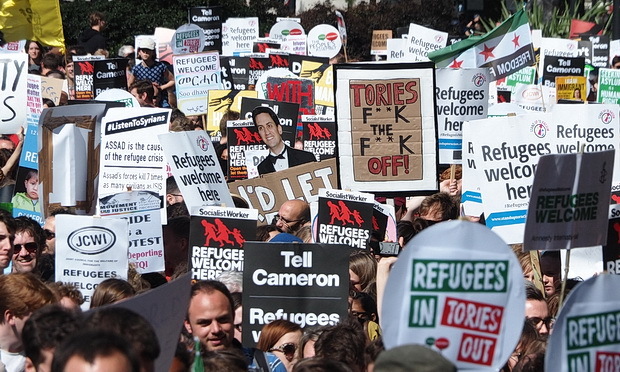 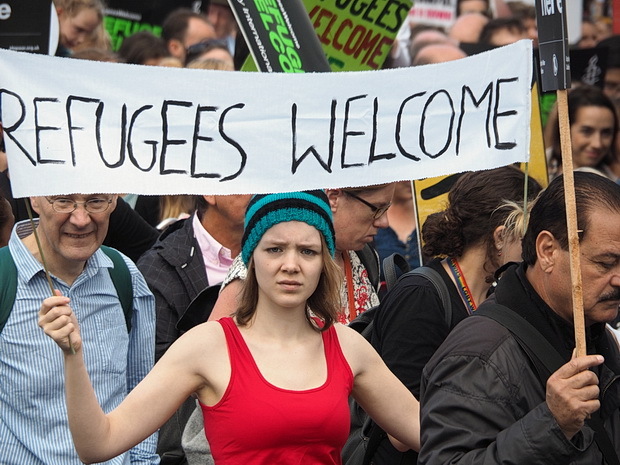 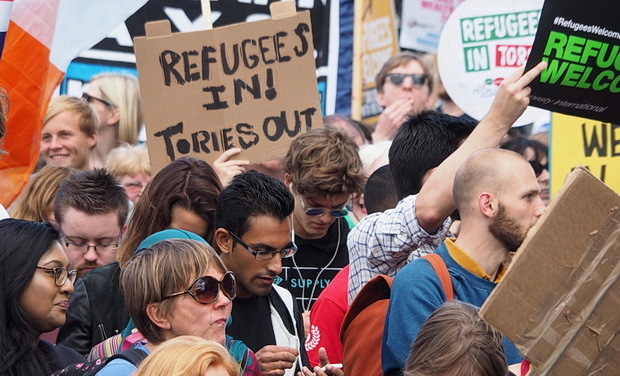 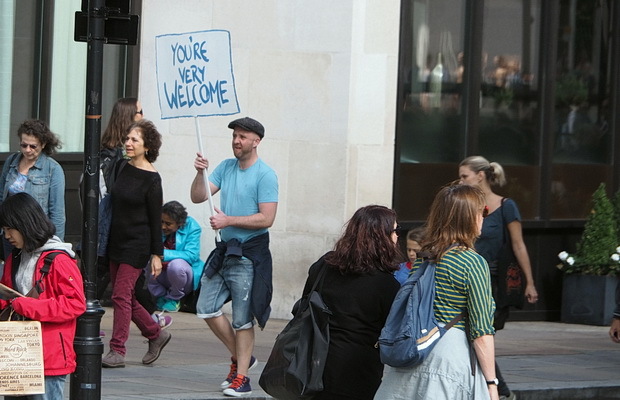 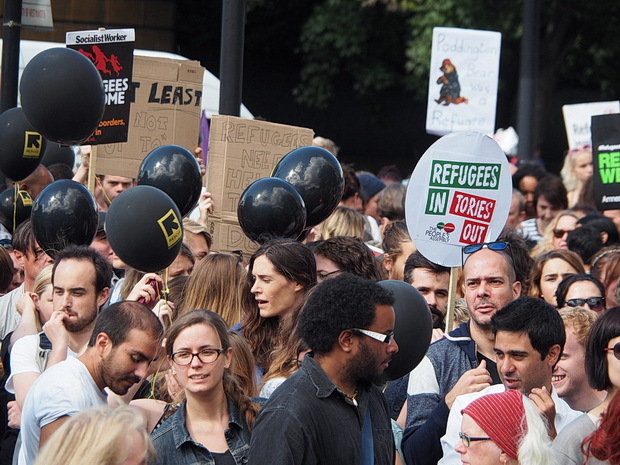 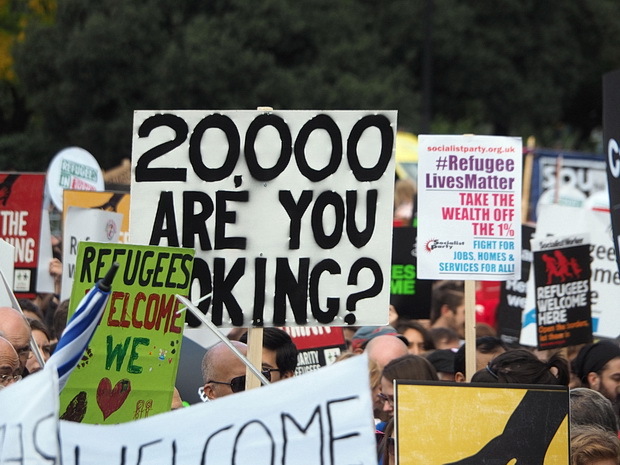 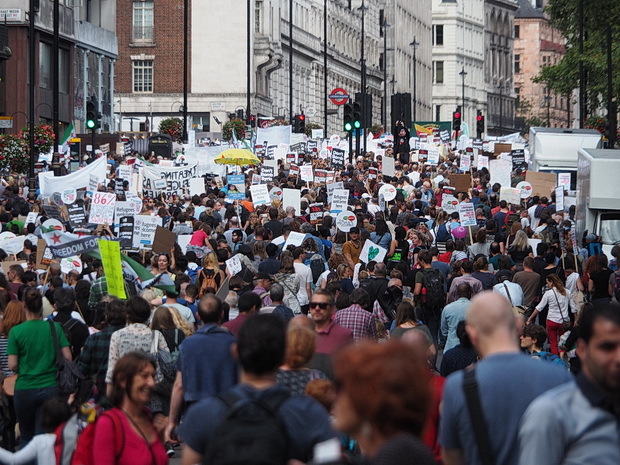 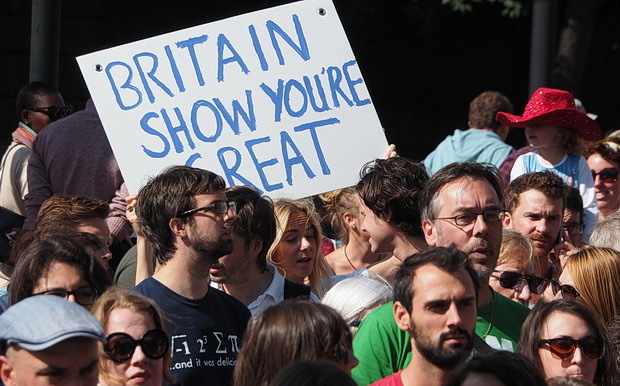 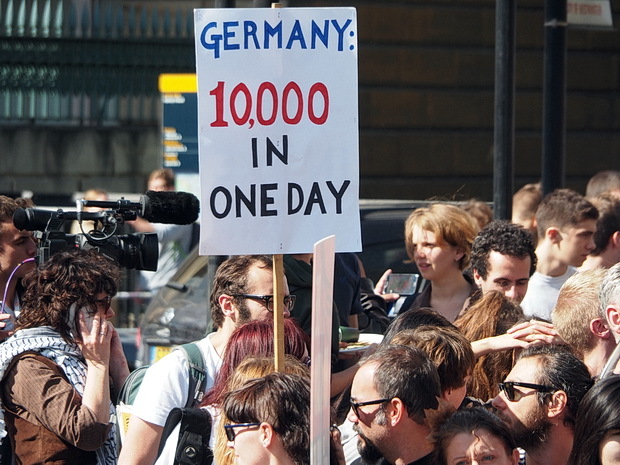 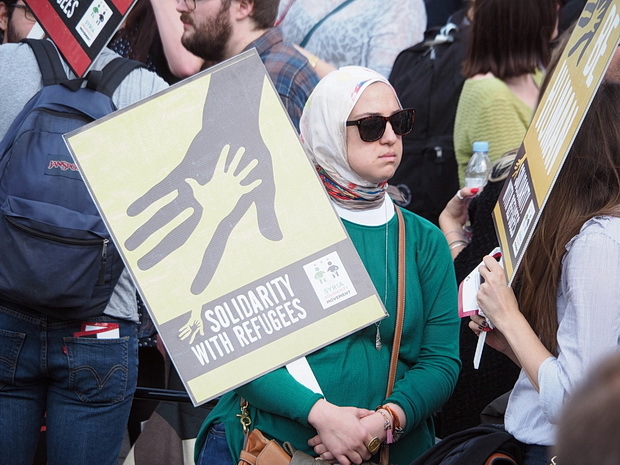 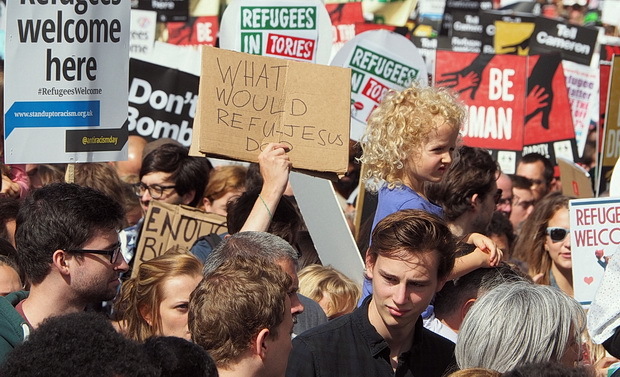 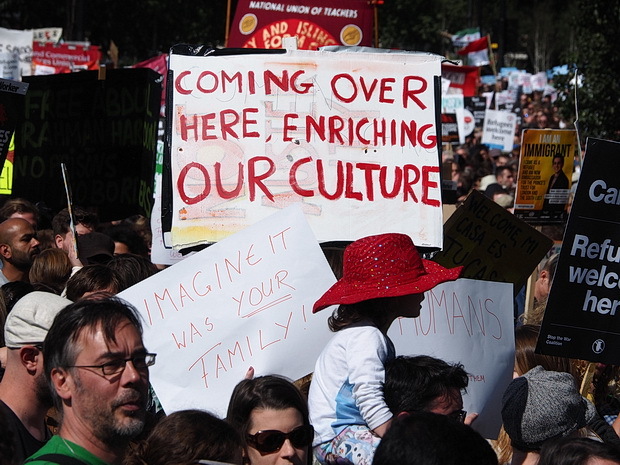 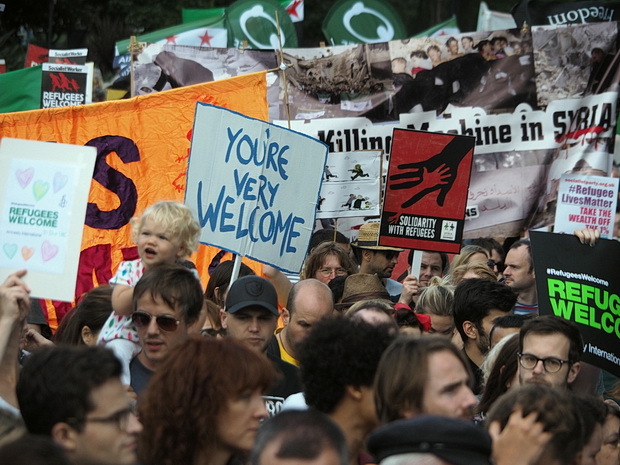 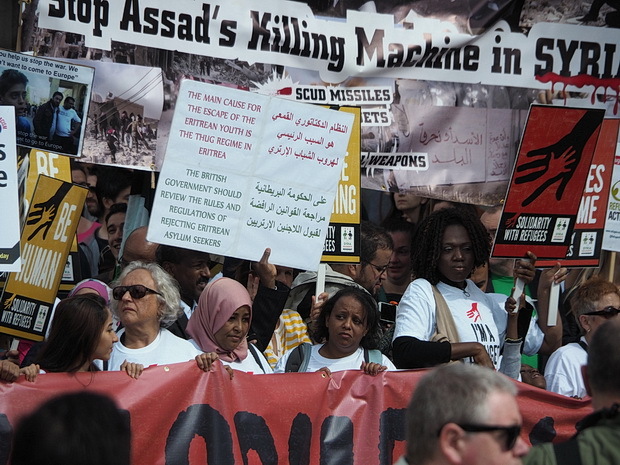 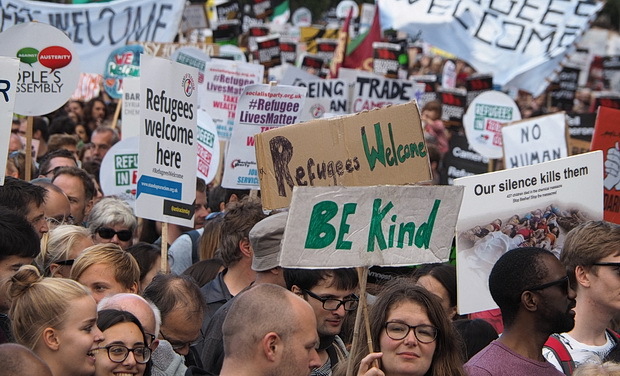 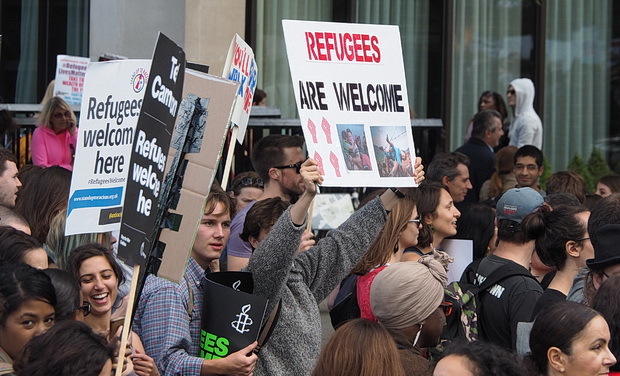 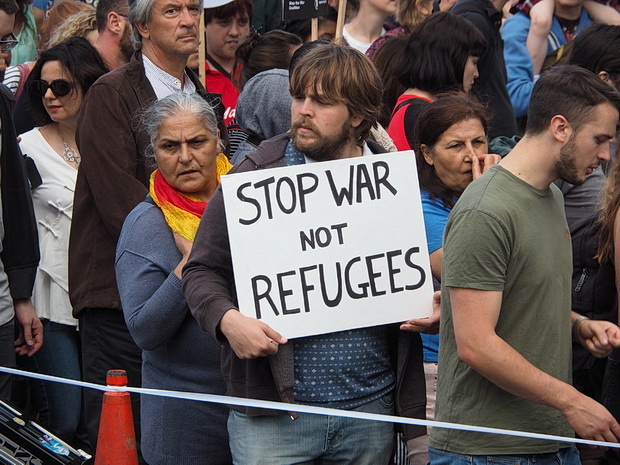 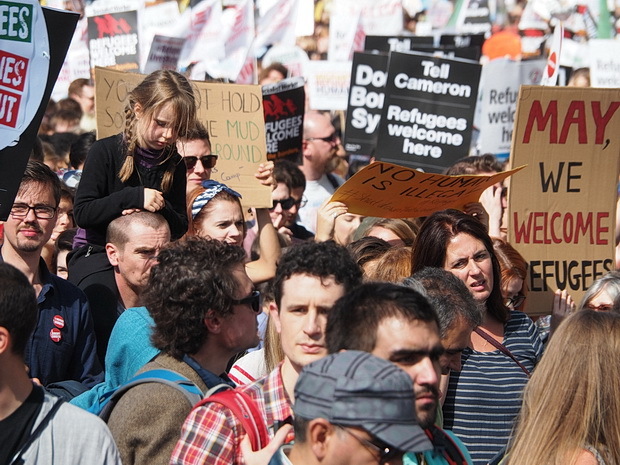 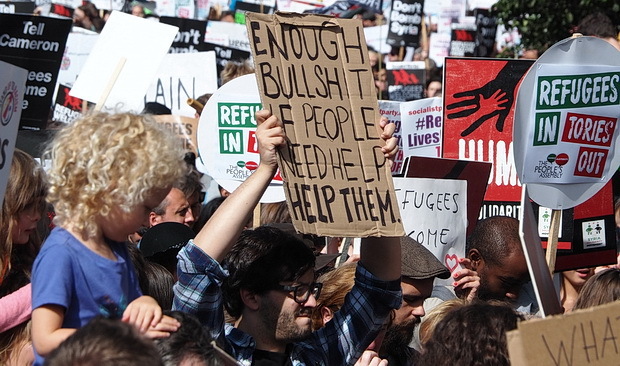 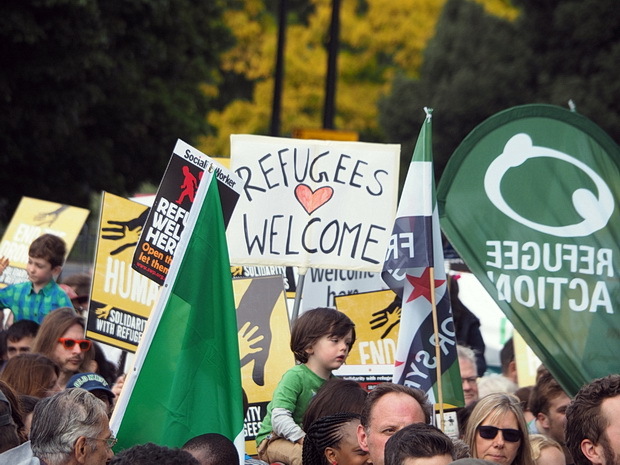 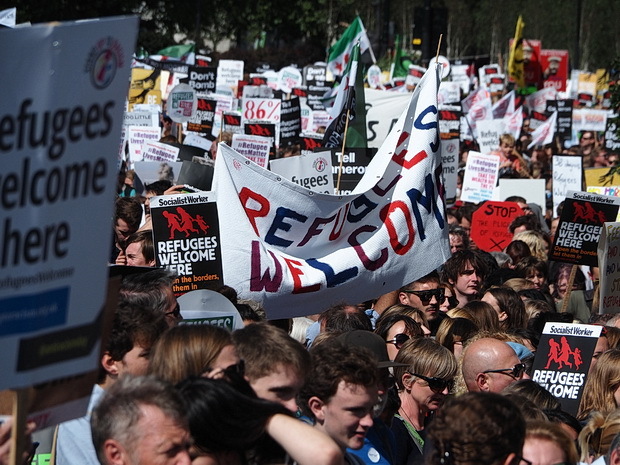 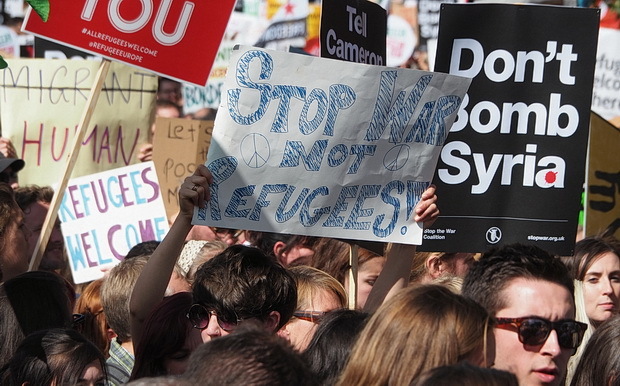 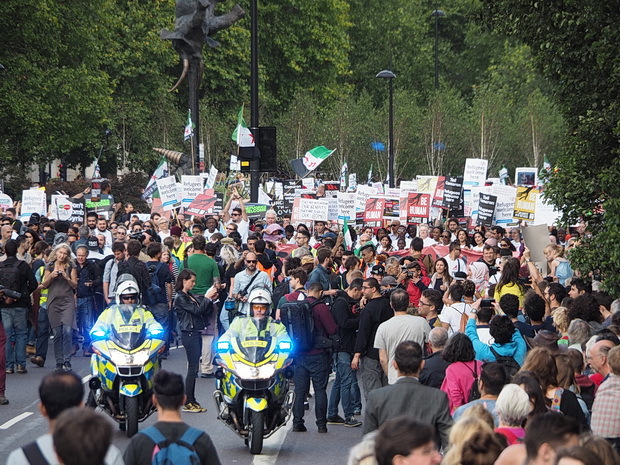 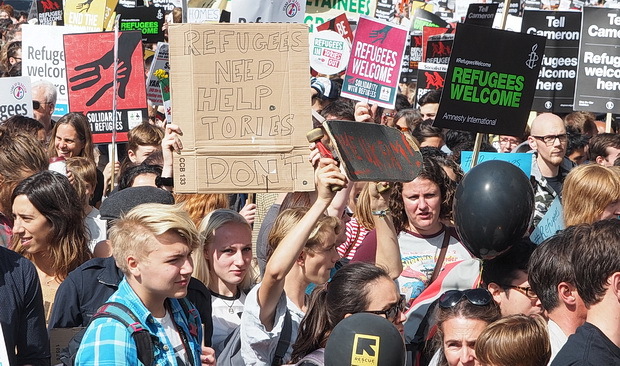 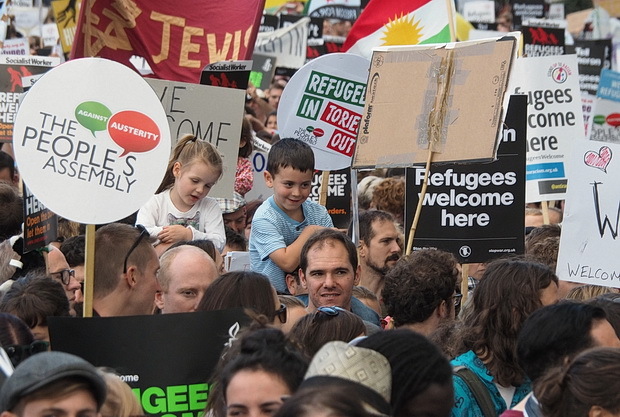 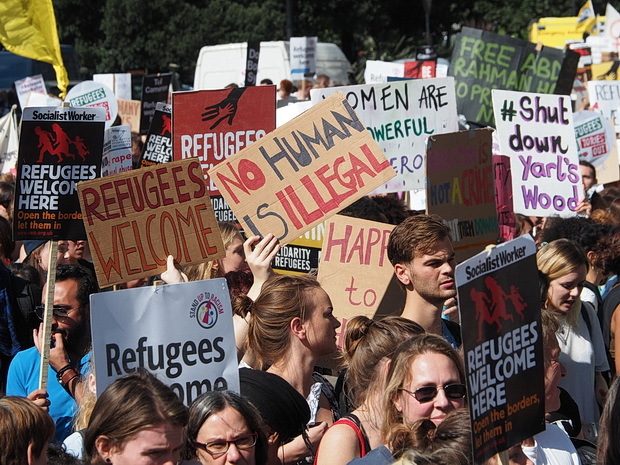 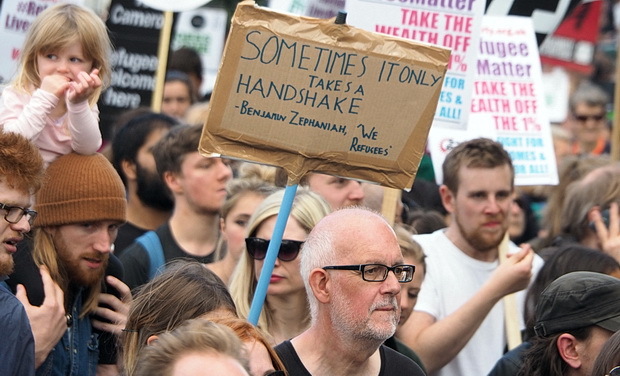 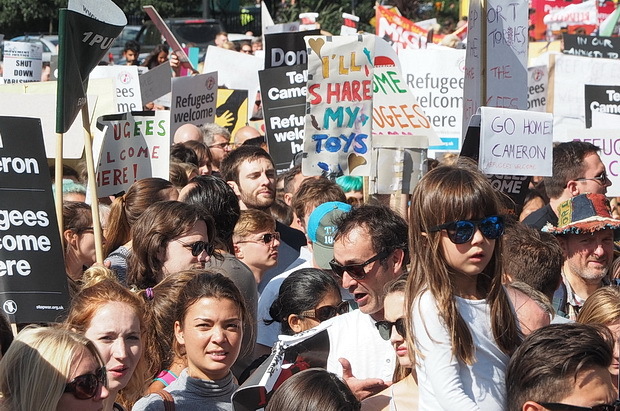 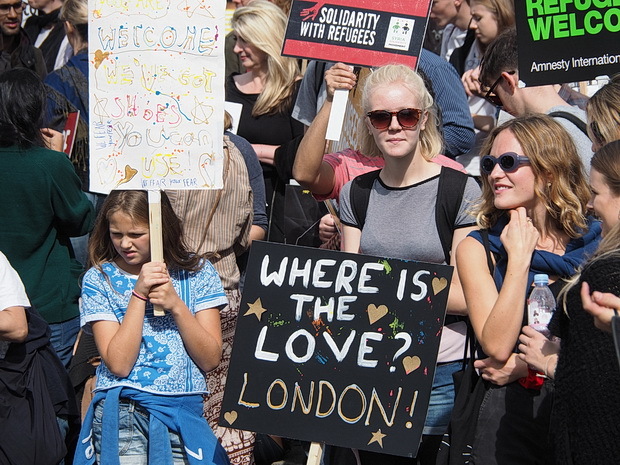 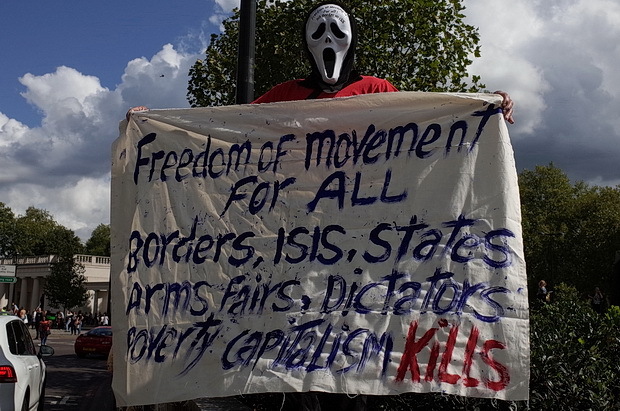 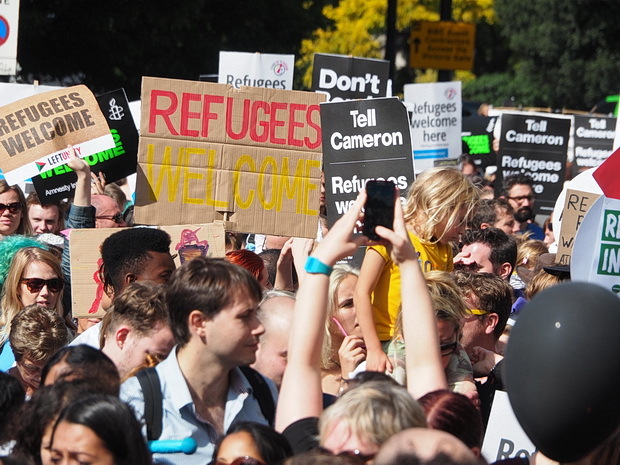 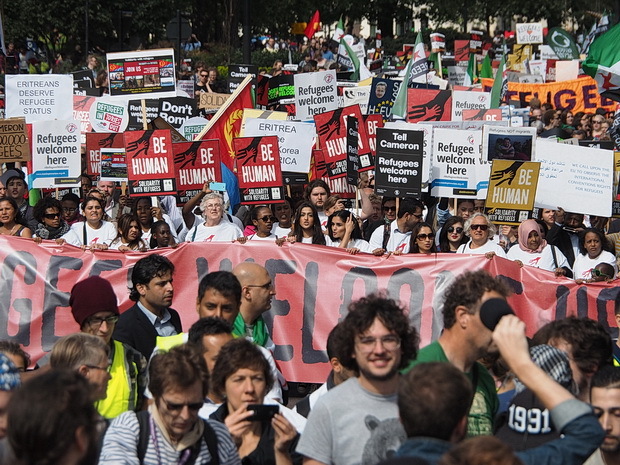 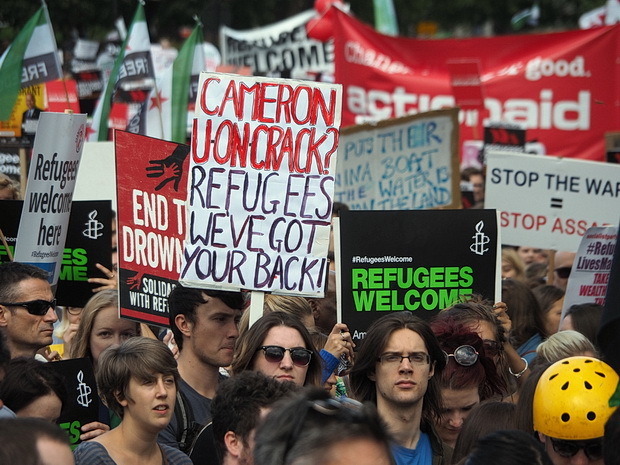 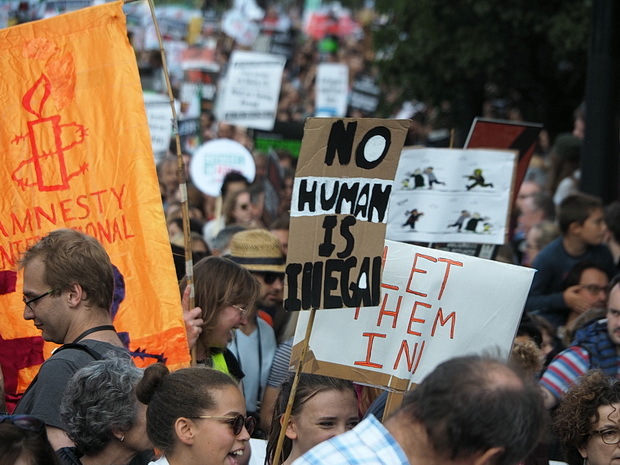 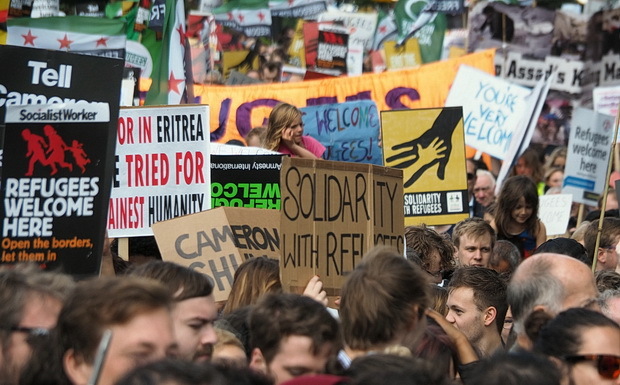 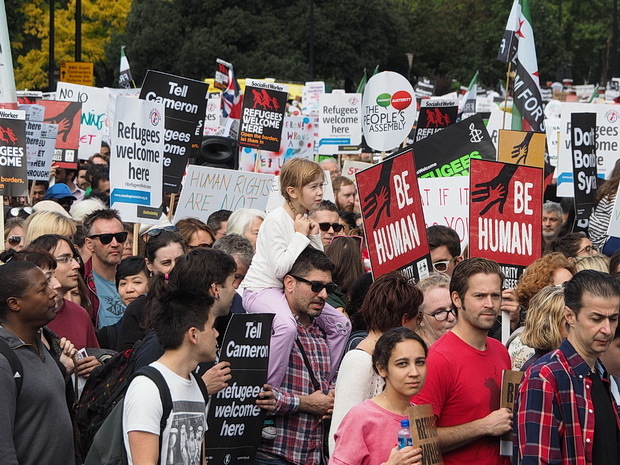 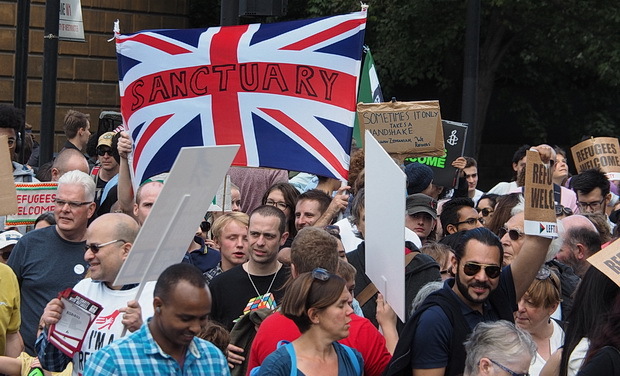 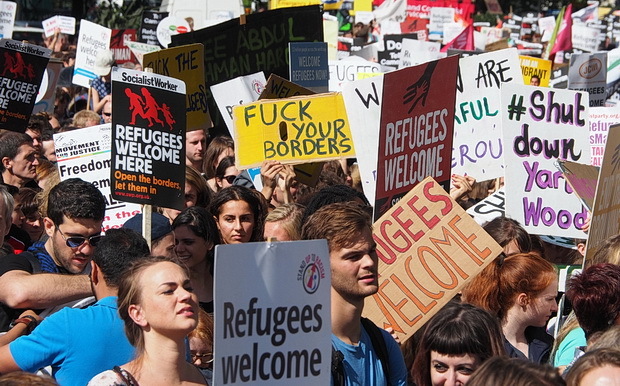 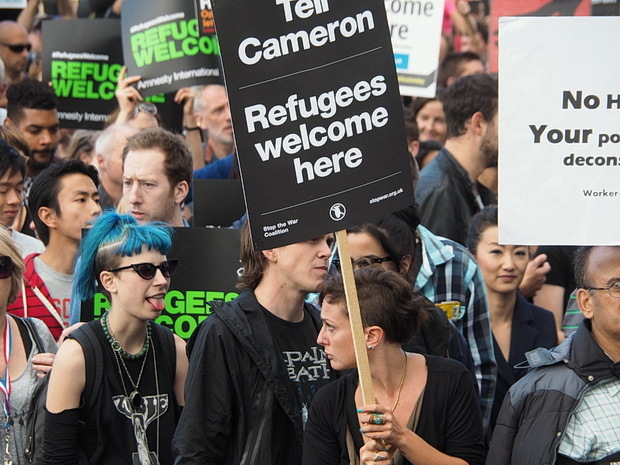 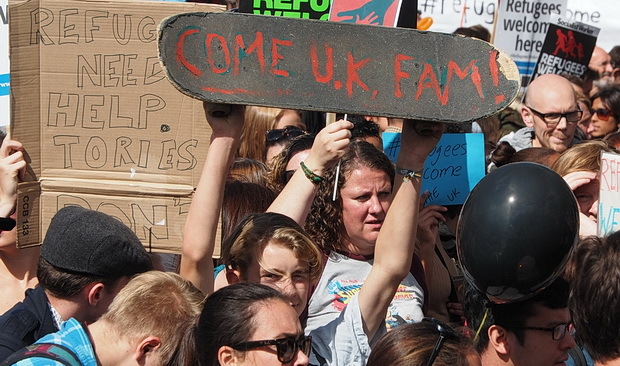 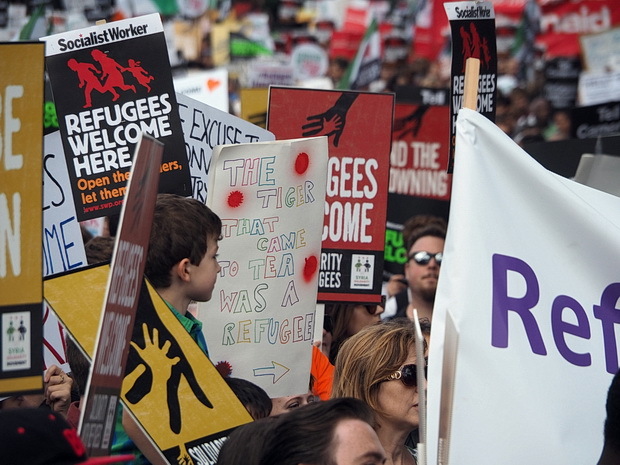 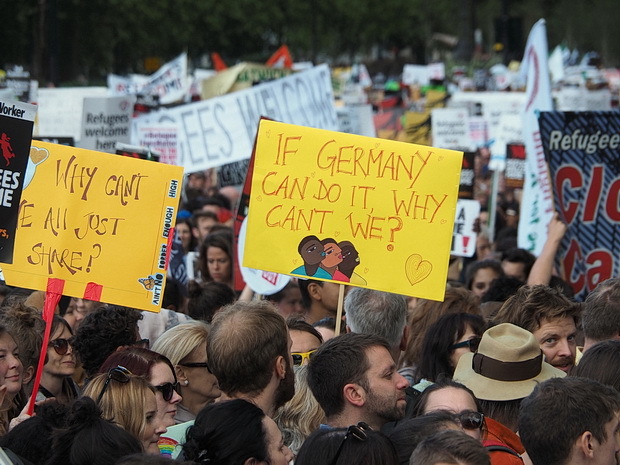 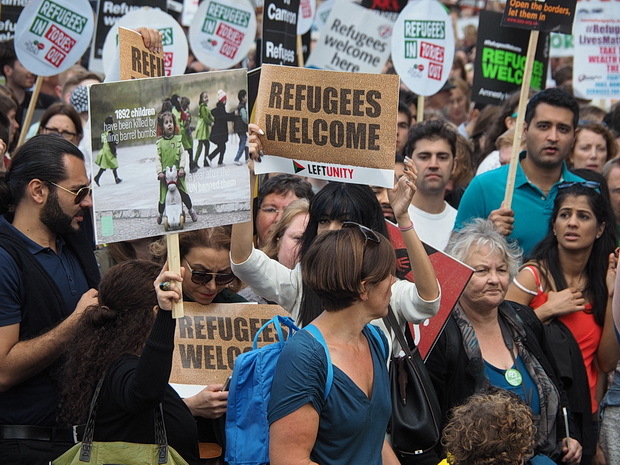 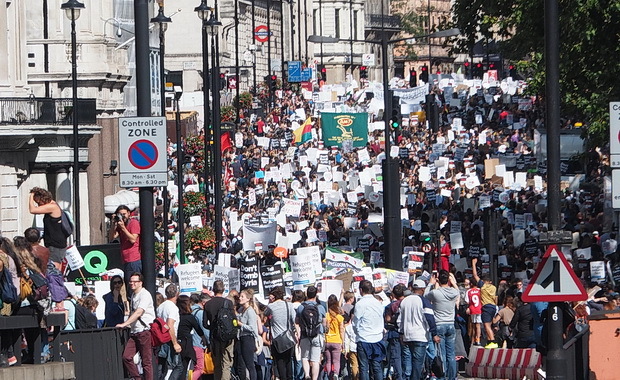 Tens of thousands of people walked through central London today, with the Solidarity with Refugees March calling on the British government to be more sympathetic and more effective in their handling of the deadly crisis. 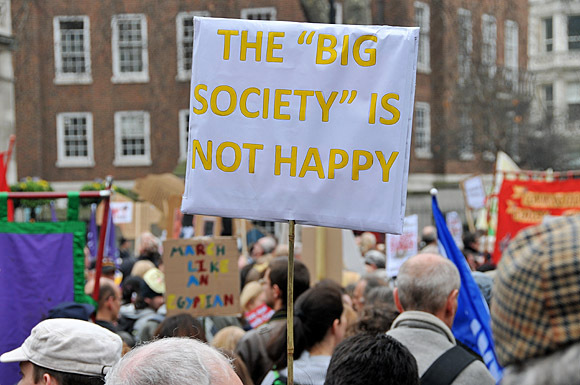 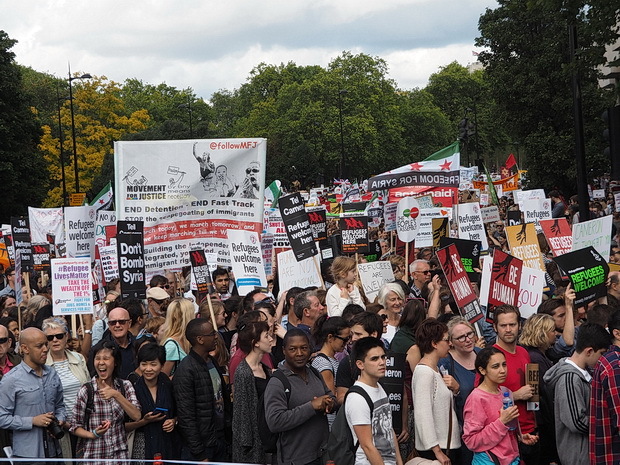 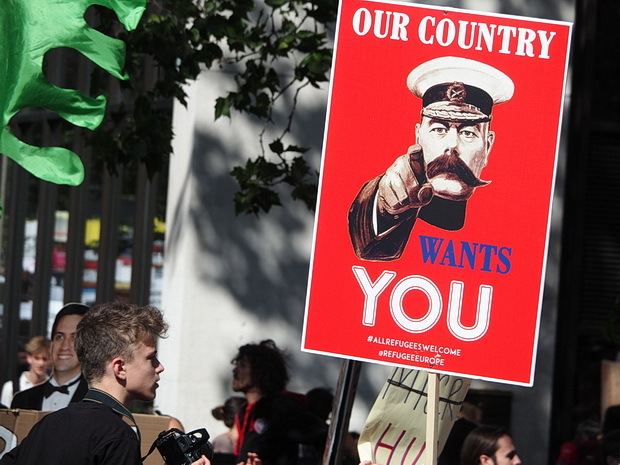 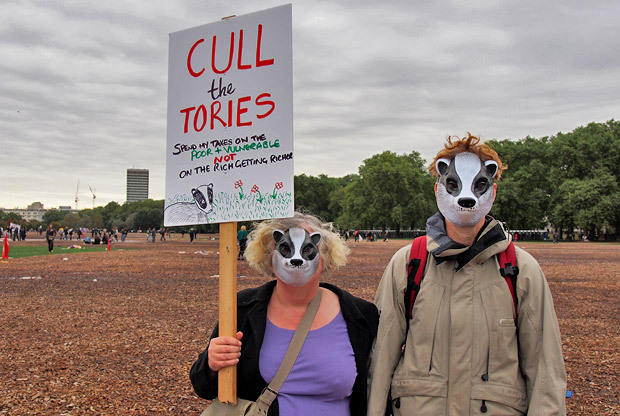 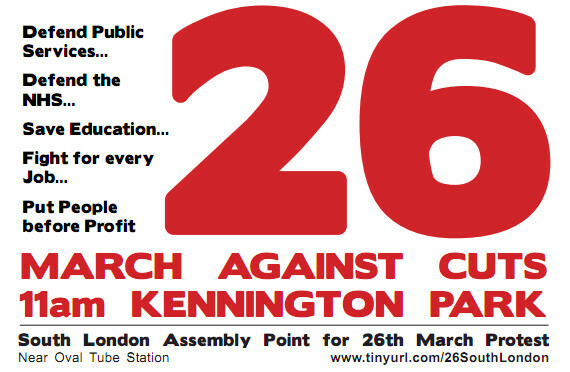 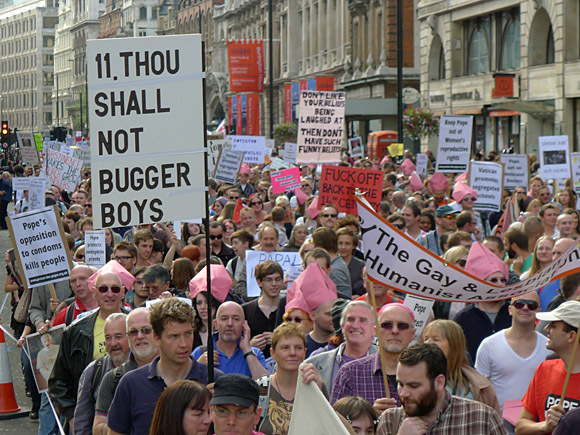 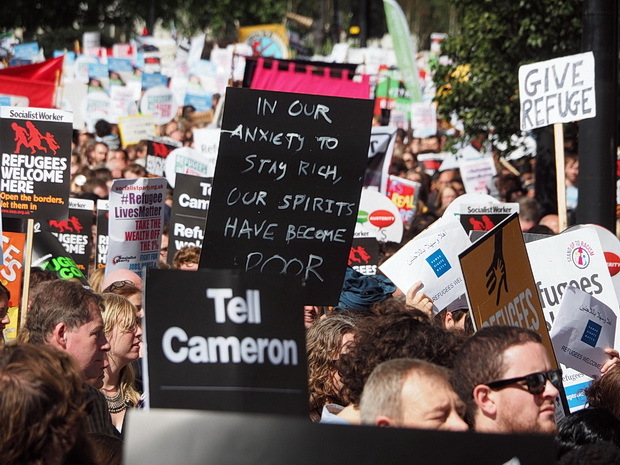 The march assembled in Hyde Park at noon, and then slowly snaked its way along Piccadilly to Downing Street. 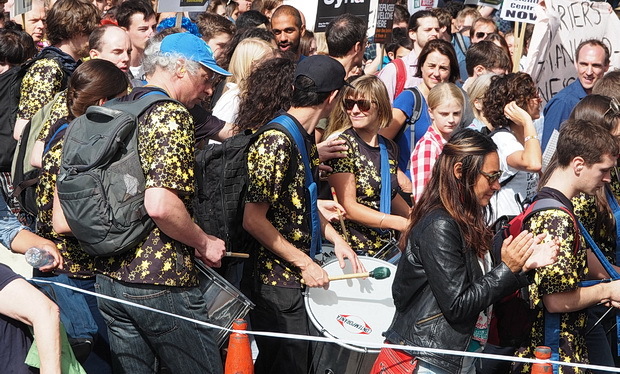 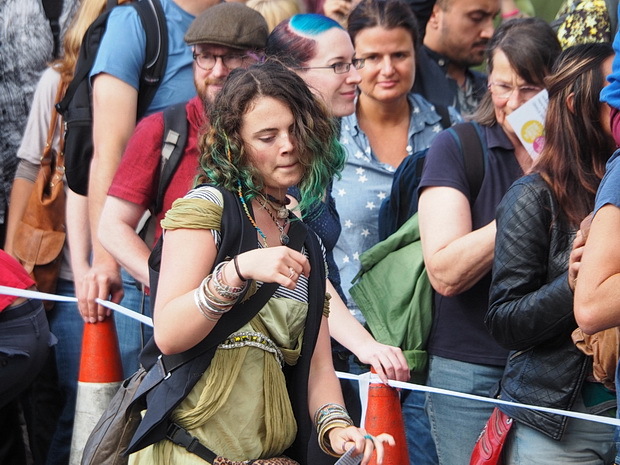 Here’s a selection of photos taken as the huge crowds moved out of the park.